With 2.2 million acres to explore, it only comes to follow that you might need a little sustenance to fuel your journey through Yellowstone National Park. You can satisfy your taste for adventure at any number of restaurants, so it can be tricky to know where to start and what to order when you get there. You may be in the wilderness, but that doesn’t mean you have to eat like you are. Here are a few of our favorites to help you plan your trip! Kids will love the long tables, tall diner-style stools, and the general fun, laidback vibe of the Canyon Lodge Eatery. Parents will love the customizable meals with fresh local ingredients and combinations that will satisfy even the pickiest of eaters. Choose from Fresh Woks noodle bowls and Slow Food Fast, a variety of American comfort food favorites. And because it’s not a formal sit-down restaurant, as soon as you’re ready, you can get back to doing what you really want to be doing: exploring the park. Everyone knows the Old Faithful Inn, but for an off-the-beaten path option with a direct view of an Old Faithful eruption, stop by the Old Faithful Lodge Cafeteria. 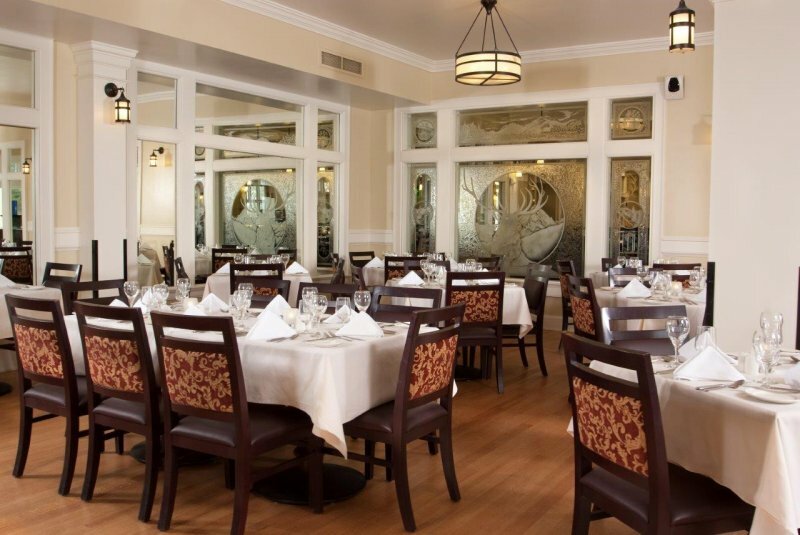 Find a table next to the large windows and enjoy lunch or dinner with a front-row seat. Enjoy bison meatloaf, barbecue sandwiches, roasted turkey carved to order, entrée salads, deli sandwiches and more. You’ll find something for everyone here. Or grab a snack from the Lobby Snack Shops—fresh-baked muffins, bagels, sandwiches, and soft-serve ice cream—and take it out to a rocker on the porch. It doesn’t hurt that you find all of this alongside the most famous geyser in the world. 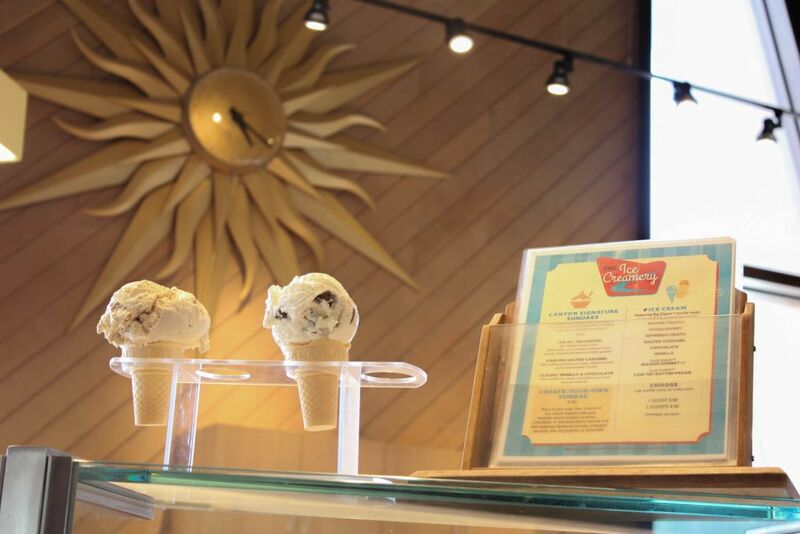 You can get ice cream just about anywhere in Yellowstone, but our famous huckleberry ice cream is the one to try and Canyon Lodge Ice Creamery is the place to get it. People line up for the Montana-made, handcrafted ice cream from Big Dipper served in house-made waffle cones. Try the Mt. Washburn, our tallest sundae ever, or create your own sweet treat. It’s the best way to stay cool after exploring the Grand Canyon of the Yellowstone, watching wildlife in Hayden Valley, or making your way to the lookout from the top of Mt. Washburn. 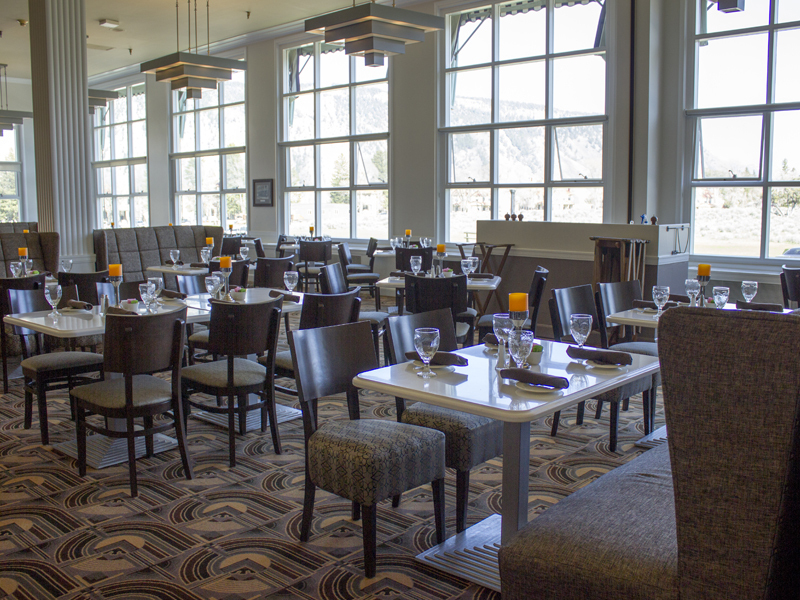 The park’s shining crown jewel of a restaurant, the Lake Yellowstone Hotel Dining Room is a showcase of glamour and elegance on the shore of Lake Yellowstone. Widely known for its stunning views and fine food, the ambience is refined and the menu creative and upscale. Try a chef favorite from Executive Chef Mike Dean, the Grilled Bison Tenderloin Filet with a Cremini Mushroom and Sage Demi-Glace, or a locally-produced New York Strip Steak from Cody, Wyoming. For breakfast, lunch, or dinner, come casually as you are, but dining here will take you far away from the wilderness that surrounds you. What better way to start your day off right than with a delicious breakfast? A number of breakfast specialties will give you the energy you need for a day of adventure in Yellowstone. The buttermilk pancakes fresh from the griddle are especially delicious. Get a caffeine kick with Rainforest Alliance Dark Roast Coffee or local tea from Tumblewood Teas out of Big Timber, Montana. And once you’re all fueled up, get yourself out for wildlife spotting and top attraction seeking. 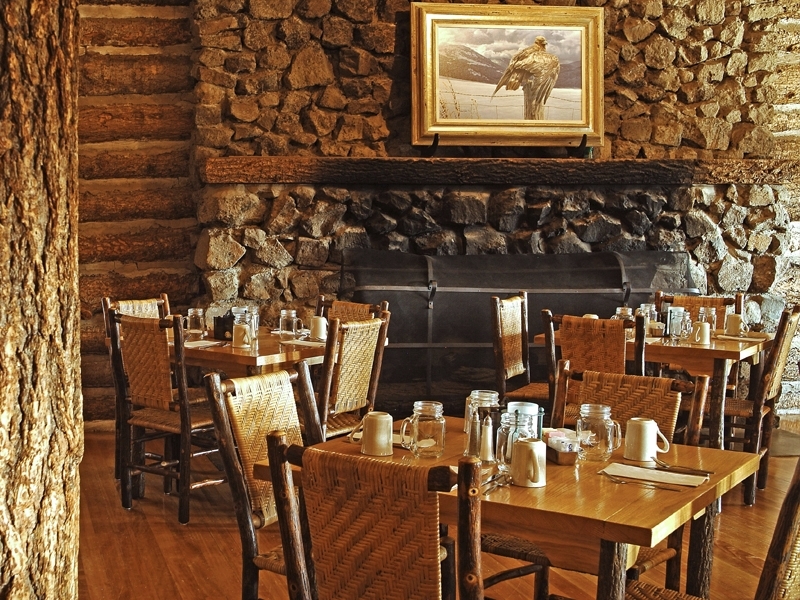 A living tribute to the Old West, you’ll have trouble deciding what you love most about the Roosevelt Lodge Dining Room: the traditional frontier fare or the authentic rustic ambience. Built near a favorite location of Theodore Roosevelt, this cozy log lodge features stone fireplaces, a family-style restaurant, and a porch made for rocking. Pull up a chair and settle in to enjoy its signature dish, Applewood-Smoked Barbecue Ribs. House smoked, slow-cooked and juicy, these famous ribs are served with two sides. With choices like Roosevelt beans, mashed potato and gravy, chuck wagon corn, and Granny Smith apple and cabbage slaw, how will you decide? Chances are you’ve worked up an appetite exploring the beauty of Yellowstone. The best cure? A legendary Yellowstone bison burger. Readily available at restaurants throughout the park, we recommend making your way to the classic Mammoth Hot Springs Dining Room for their eight-ounce farm-raised grilled bison burger, with lettuce, tomato and onion, grilled Parmesan black pepper bun, and your choice of delicious fixings including cheese, bacon, sautéed mushrooms, and green pepper. Too stuffed to go on? Stroll over to the Mammoth Map Room in the hotel and relax while listening to pianist Randy Ingersoll play delightful tunes in the evening. There are lots of good restaurant options in Yellowstone. But why dine in when you can take your meal to go and eat in the great outdoors, having an experience you won’t soon forget? Ride out to Pleasant Valley through meadows and sagebrush flats by covered wagon or on horseback for the wildly popular Roosevelt Old West Dinner Cookout, where coffee’s brewed over an open campfire and you feast on western beef steaks, our signature Roosevelt baked beans, potato salad, and all the fixin’s you can eat. Be sure to save room for dessert! We’ve been told this is where you’ll find some of the best cobbler around, alongside jokes and stories told around the fire. You’ll even be serenated with old western songs sung by our singing cowboy. 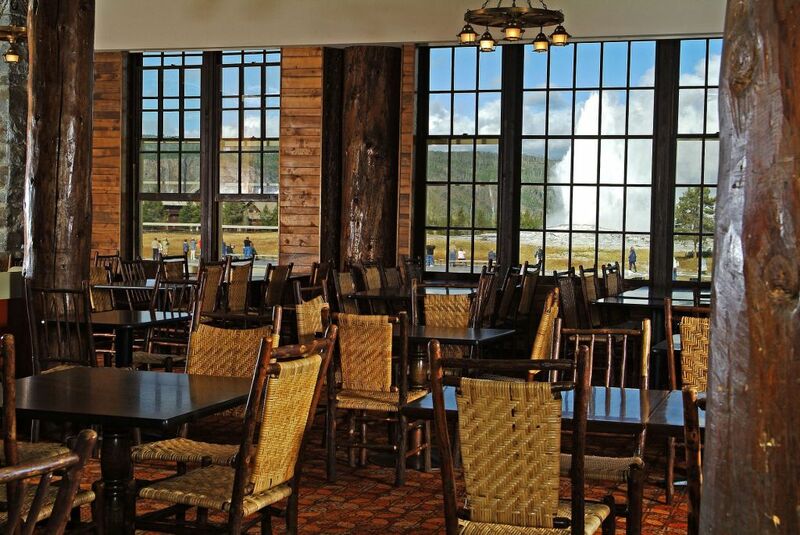 Thanks to striking large windows, the views from the Lake Lodge Cafeteria are tough to beat. 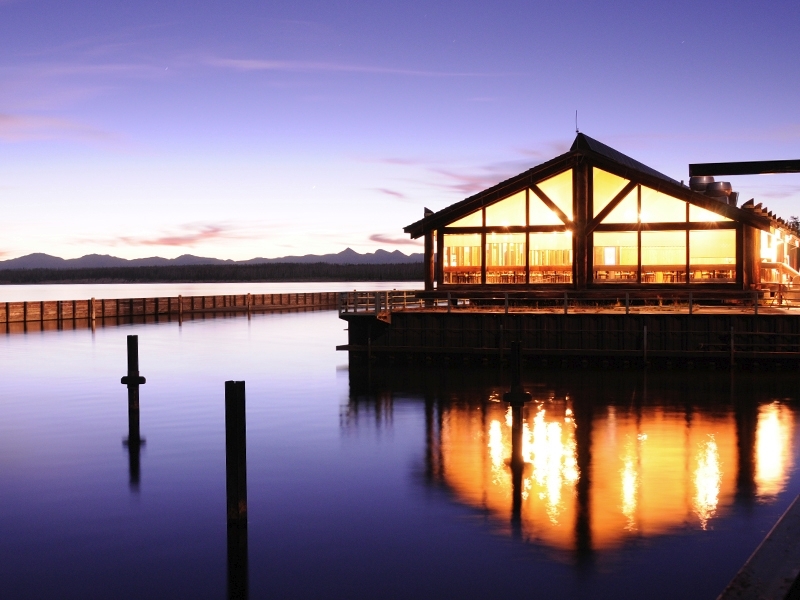 Overlooking Yellowstone Lake, you’re sure to relax while getting off the beaten path. It’s not uncommon to see a bison or elk grazing. You’re also sure to get good food at a good value with a rotating menu of daily specials, including juicy prime rib carved to order. Then take some time to reflect on the day by one of the two fireplaces in the great room or rock away your troubles on the porch. Named after Ulysses S. Grant, president when Yellowstone became the world’s first national park in 1872, the Grant Village area of Yellowstone often sits in the shadow of other park regions and attractions. The dining room here is stocked with old favorites, but it’s the Grand Village Lake House that really stands out. Tucked away on the southwestern shore of stunning Yellowstone Lake you’ll find the Lake House and its extraordinary views of the West Thumb of Yellowstone Lake and the Absaroka Mountains from the shores. It’s also only a short drive to the hot springs, mud pots, and geysers of the West Thumb Geyser Basin and, at equal distance from Old Faithful and Lake Village, it makes a great home base for exploring other areas of the park. Getting hungry? 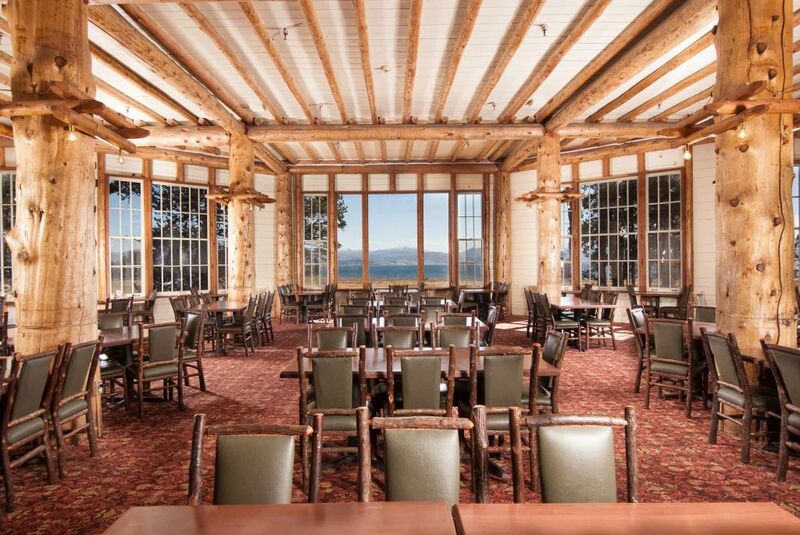 See all the dining options that are on the menu at Yellowstone National Park.